If I had to choose one word to describe Kiersten & Roger's wedding, it would be gleeful. Their entire day was full of laughter, light-heartedness, tender moments, and a whole lotta fun. Blue skies, green grass, and an abundance on sunshine set the scene for a gorgeous June wedding at The Cardinal Room. 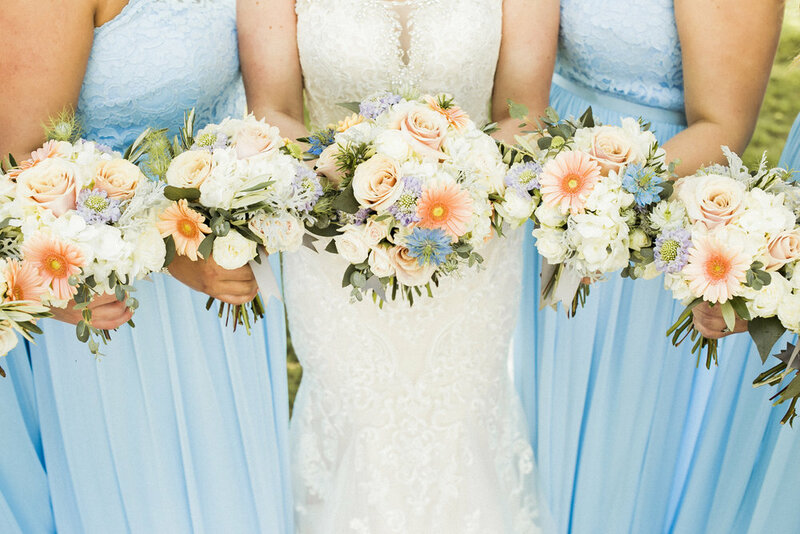 Periwinkle, peach, and gray accents tied all the details together. While the entire wedding was beyond beautiful, the ceremony was the most emotional one that I'd ever photographed. When Roger saw his middle school crush walking down the aisle to become his wife, I don't think there was a dry eye in the room (mine included!) It was such a sweet moment! The rest of the evening, the happy couple celebrated with friends and family while dancing with night away. Seriously though, this group knew how to party! The dance floor was busy all night, and I think that the adorable candy bar and accompanying sugar rush may have had something to do with it ;) To top off the night, we grabbed the golf cart and snuck out for some glowy, romantic sunset portraits. The connection between these two is unreal that even the first time meeting them, you instantly can sense they are soul mates. Through all the years, Kiersten & Roger's love for each other has remained steadfast and will only continue to grow stronger with each day. I feel so lucky that I got the privilege of capturing this sweet couple's love story! 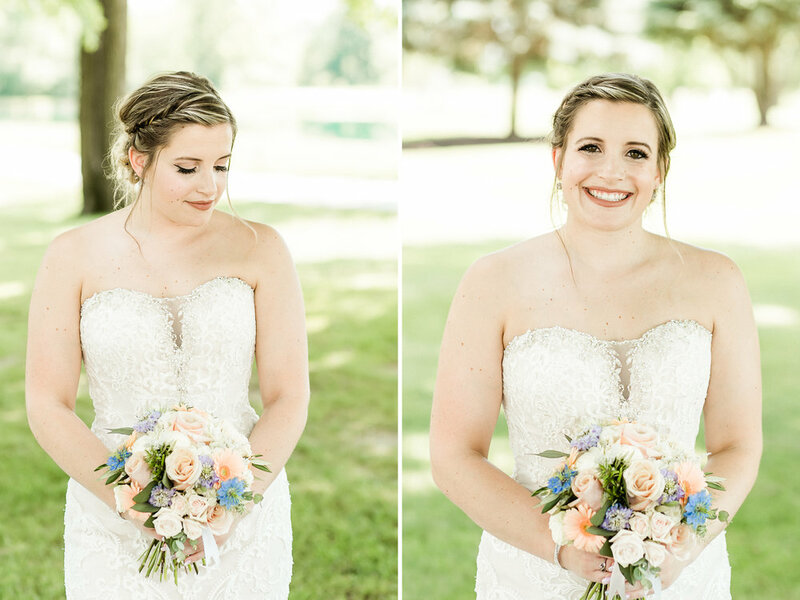 Keep reading to get a glimpse into Kiersten & Roger's classic summer wedding. Congratulations to Mr. and Mrs. Acevedo!!! It was such an honor to capture your special day and I wish you both all the happiness in the world!